Someday if I ever meet that someone there are of course a few songs that he has to like. 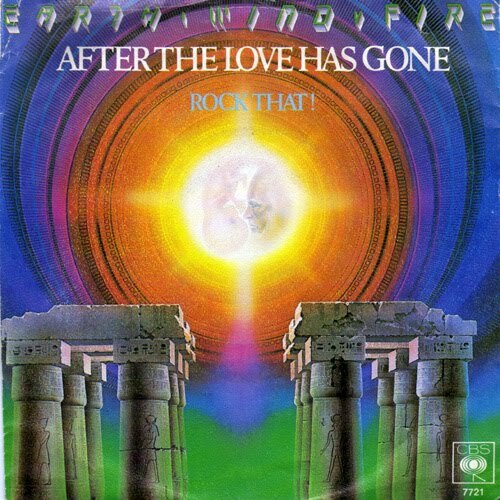 One song is After The Love Has Gone by Earth Wind & Fire. It was a hit in 1979 and is a song that always takes me back to hearing it from that year onwards. Pop music is so important to me, I couldn't imagine not being able to share it with the person most important in my life but I have known many couples who have very different music tastes and it dosen't bother them at all. I guess the key is to also have friendships where a mutual love of music is part of how that bond came about. Here's Earth, Wind & Fire and their glorious original version of After The Love Has Gone. David Foster co wrote After the Love Has Gone with Jay Graydon and Bill Champlin. David Foster has produced or written dozens of songs that I love and below he introduces After The Love Has Gone which is sung by Brian McKnight and an excellent version it is too.